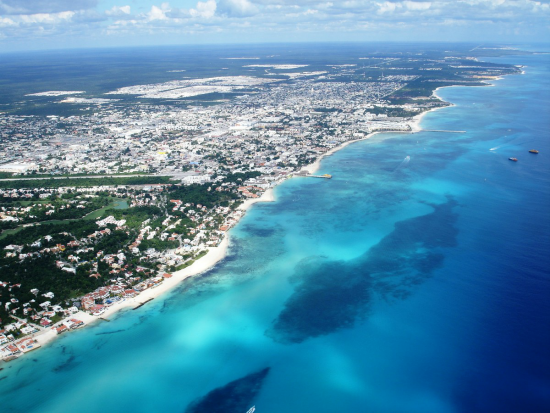 Playa del Carmen - So Where is Playa del Carmen? Find out Here! So where is Playa del Carmen? Just 1 hour south of Cancun is where you’ll find Playa del Carmen. The once sleepy village of Playa del Carmen doubled twice in population in the past few years, mainly due to Europeans who discovered the alabaster-white beaches gentle surf, coral reefs and slow lifestyle equal to the more expensive island of Cozumel just across the straits. 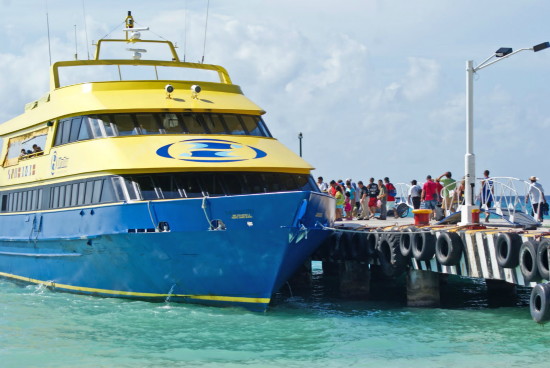 If you’re looking to snorkel, Playa’s dock is the pier for the ‘people ferry’ to Cozumel where you’ll find Cozumel’s incredible coral reefs to dive or snorel in. The strong foriegn influence has created a unique vagabond traveler ambiance. Numerous outrageously delicious restaurants provide sustenance and several foreign-owned hotels raise the standards of service to exacting levels. Combine that with a relaxed Mexican-Caribbean feeling and a sprinkling of American free- spirits and you’ve got Playa. It’s definitely not the place to ‘get away,’ but it is a place to enjoy marvelous beaches by day and a lively nightlife in the evening. The mix of backpackers, archeological buffs and New Age sun worshippers makes Playa very interesting and worth some time. The main road into town, Av. Juarez or Av. Principal, depending on whom you ask, leads you right to the ferry dock and the pedestrian-only 5th Avenue, running perpendicular to the beach. It boasts many hotels, stores and restaurants. The bus station is right there at Av. 5 and Juarez and is a hub for further journeys down to Tulum, Chetumal and Belize. Many hotels are within easy walking distance from the bus and the street in front of the station is full of men on large yellow tricycles (triciclos), who will ride you and/or your luggage cheaply to your hotel in a Mexican version of a rickshaw. A stroll on the beach leads to Playa’s attractive lighthouse (faro), where you can climb its exterior circular cement staircase to the top. The view is excellent and provides a great photo op. There are several Money Exchanges (Casa de Cambios) located in Playa, so exchanging money should not be a problem. Exchange rate can vary daily and from place to place. Most shops and restaurants will accept american dollars. There are plenty of ‘minisupers’ (corner grocery stores) and fruit shops located in Playa, as well as a few ‘large’ supermarkets (Super San Francisco being the most popular due to its location on 30th). Some supermarkets also accept credit/debit cards. The ferry to Cozumel has a schedule that changes constantly. If you’re going over, just ask about times at any of the ticket booths scattered around the plaza. For shopping, the stores of Playa’s Av. 5 and surrounding sidestreets offer an eclectic assortment of hand-made pottery, arts and crafts both local and from all over Mexico, gifts and New Age paraphernalia. Most of Playa’s activities involve the water – the beaches are fabulous for swimming, snorkelling or diving. There are numerous dive shops around. Try the Tank Ha (Ha means water in Mayan) dive shop at the Maya Bric Hotel. The Abyss Dive Shop at the Blue Parrot Inn – Calle 12 North on the Beach offers a variety of dives geared to meet each divers needs: from beginners to experts. Golf is available in Playacar on an 18-hole course designed by Robert Von Hagge. Beachcombers could hike north and make a whole day of it, relaxing in one or two beach side restaurants along the way. Wear a hat and much sunscreen.